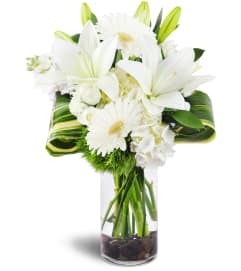 Your sentiments are simple and timeless, so why not express what's on your mind with these gorgeous creamy white calla lilies enhanced with elegantly rolled greenery? 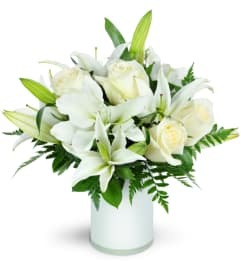 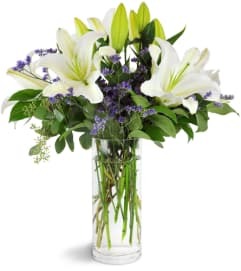 There's a reason that generations have loved these elegant blooms, and they're perfect for any heartfelt occasion from "I love you" to "deepest condolences for your loss." You don't need words when classic calla lilies do the talking for you. 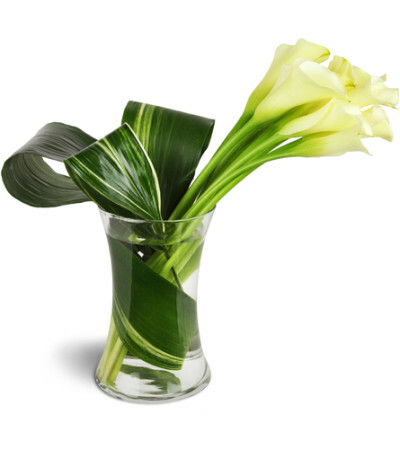 Creamy white mini calla lilies sway elegantly to the side of our classic shapely clear glass vase, accented by delicately rolled green leaves for a unique look.